Employees in the health field (licensed doctors, nurses, researchers, etc.) are not “science.” They are people, yes, mere humans! I’ve said it before and will say it again. We all need to work together to call people out when they toss around the term “anti-science” or when they claim they “believe in the science.” For too long, we have accepted the misapplication of this anti-science term instead of rightly questioning those throwing it around. sci·ence (sīəns/noun): the intellectual and practical activity encompassing the systematic study of the structure and behavior of the physical and natural world through observation and experiment. Employees in the health field (licensed doctors, nurses, researchers, etc.) are not “science.” They are people, yes, mere humans! And they have gone through standardized education and training to perform basic duties. Duties you can perform, too. They are not the only people who can learn about the world around us. And they are not the ultimate authority on a world we are still learning more about daily. Science is a particular method of study. Not a group of people. Not a majority rule. Not a community that all agrees on one idea. Not an ultimate truth. This science is also continually challenged, improved, and altered as people gain more knowledge and continue to explore our world. Remember the infamous Dr. Semmelweis who attempted to convince doctors to wash their hands and instruments to save women from childbed fever? If you believe “science” is already determined, and is merely about majority consensus, you are actually referring to religion. If you believe a potential finding in scientific studies, or hypotheses presented by scientists are unquestionably true, you are actually talking beliefs. If you believe in this concept of science above all else, and cannot consider criticism or permit this science to be challenged or questioned, then you are following dogma. If you believe all people must follow this science without doubting or searching for more answers, you are demanding an act of faith. If you believe that the amount of science you have at your hands right now is the ultimate knowledge, and that all people must be compelled through peer pressure or laws to follow this science, you are attempting to make our country a theocracy. Theocracy is a form of government in which clergy (doctors) have sovereignty over a territory (medicine) and official policy is either governed by officials regarded as divinely guided, (from dogmatic science) or is pursuant to the doctrine of a particular religion or religious group (pharmaceutical company and lobbying groups). What is real science? What does it mean to be pro-science? Who is supporting scientific exploration? People who QUESTION current beliefs are pro-science. People who want to EXPAND knowledge about our world are scientists. People who FIGHT for ethical, empirical experiments are fighting for science. People who DOUBT hypotheses and OFFER alternative ideas are encouraging scientific progress. Those who question, those who want more investigation, those who want all aspects acknowledged, those who show caution about human rights violations or show concern for how our world might be hurt… Those people are the farthest from anti-science. So, who is actually anti-science? People who want to SILENCE opposing voices are anti-science. People who HARASS, BULLY, or THREATEN those who question are anti-science. People who CONFUSE fanaticism with science, who confuse profit with ethics, who confuse advances with empirical development, are anti-science. People who SUPPORT a government operating as a theocracy based on dogma are anti-science. People try to FORCE others to follow an outdated, unproven, unethical medical program are religious fanatics. When you use the anti-science label, apply it where it belongs. And if you see someone using it inaccurately, correct them. People can and do change when presented with information. Note: This article was reprinted with the author’s permission. It was originally published at Guggie Daly. 1 Davis R. The Doctor Who Championed Hand-Washing And Briefly Saved Lives. NPR Jan. 12, 2015. 2 Sousa AC and Dreger A. The Difference between Science and Technology in Birth. AMA Journal of Ethics September 2013: 15(9): 786-790. 3 Mergler MJ, Omer SB, Pan WKY, Navar-Boggan AM, Orenstein W, Marcuse EK, Taylor J, deHart MP, Carter TC, Damico A, Halsey N, and Salmon DA. Are Recent Medical Graduates More Skeptical of Vaccines?. MDPI Apr. 29, 2013. 24 Responses to "The Religion of Anti-Science Fanaticism"
In the end, our human family, ALL of our families, must bear some health risks – it’s inherent in being alive and having the power to affect our own health. The best hope we have of minimizing it is to adhere to critical thinking and use reasoned persuasion where the monied interests have sown emotional attachment to non-scientific conclusions that keep their coffers filling. Like you, I am a pro life Catholic mother. Unlike you, I believe that’s the only evidence based position on immunization is to be pro vaccine. But going from your article, I noted that you say that those who question currently held beliefs are pro science. Science would affirm that the human zygote is an individual member of the human species, regardless of what rights one believes the government ought to confer to the baby before birth. Extrapolating from your previously stated position, is someone who questions the humanity of a baby before birth, ie someone who is pro choice, actually acting from a “pro science” position? You seem to be ignoring much evidence. How can you claim to be pro-life and pro-vaccine at the same time ? Have you not read the inserts? Human aborted fetal cells are in the vaccines. Talk about a clear cut example of blindly following dogma, while claiming to be “scientific”. Time to do some real research before revealing your ignorance. Please supply the backup evidence to your statement that vaccines contain fetal cells. Look no further than the manufacturers insert for the vaccine! Thank you SO much for this. Thank you thank you thank you. I SO very much needed to see this this morning! I’m an RN with a nutrition science background. While going through my nursing education, I understood the immune system better than my peers (it was a person interest). When the topic of vaccination came up in nursing school, there was absolutely NO SCIENCE taught. Instead, we heard pure vaccine political propaganda. No discussion about cellular vs humeral response, no discussion of contraindications for anyone except those with CANCER. Not a thing. So the next time a provider of any type: pharmacists (these people are CHEMISTS and that is ALL), doctors (they use symptom management to treat disease and know very little about prevention), or nurses (the henchmen of the medical establishment’s political views)”recommend” a vaccination OF ANY KIND for you, ask them to explain to you EXACTLY how it works and ask them to give you the EXACT ingredients in the vaccines they sell. They can’t. Absolutely right Lisa! I too did a nursing degree in the early to to mid 2000’s and I experienced the same lack of information on vaccines. We had one lecture from an RN with a phd in immunology. At the time my cousin’s boy had been hospitalized with pertussis post third vaccination. The lecturer’s response was “oh I’ve never heard of that happening before, it must have been a bad batch”!! My friend is a nurse too and she is being pressured by the employer she works for to get the flu vaccine even though the last time she did get the vaccine she and her baby both got the flu…..she wants to be exempt from the mandatory vaccine policy. Do you know how she can do that without getting fired? She lives and works in GA. BTW the hospital quarantines every patient that comes in with the flu. Her argument is if the flu vaccine works and everyone at the hospital that works there gets the shot then what are they afraid of if she doesn’t get the shot??? If you want to be educated as to the techniques that anti-science medicine uses then there is probably no better source for the layperson than Dr. Malcolm Kendrick”s book “Doctoring Data.” It was published last year. You can get it at Amazon.com. The reviews were highly positive. I’ve read it and laughed my way through it. Dr. Kendrick knows how to explain all the hypocrisy, fanaticism, and just plain old-fashioned doctoring of the data that pseudo-scientific medicine has developed into and he does it with great insight, courage, and humor. Even though I have a Ph.D. in chemistry I learned much by reading it. White Orchid–you clearly have spent very little time researching vaccines. Science is not on the side of Pro-vaccine. Pro-vaccine science is AT BEST inconclusive, not resolute. I have put thousands of hours into this incredibly complex issue, which is why most people trust their doctors on the topic. You have to examine each side’s research and you will find pro-vaccine has very little and would rather you not look into it and people questioning vaccine safety have massive amounts of research and have better sources. Tara–This is just 1 type of risk factor. We are all so genetically diverse. What else is a risk factor? Doctors do not know. They say vaccines don’t cause autism, yet they cannot say what is causing it. You can’t take anything off the table unless you know the answer definitively. In the meantime, we are causing massive unprecedented rates of brain damage in American children. The vaccine schedule tripled after the Vaccine Injury Act of 1986, which protects anyone who produces, sells, distributes or administers vaccines! You can sue your pediatrician for any reason–except if he/she injures or kills your child by vaccinating them. That means there is ZERO incentive to make safer vaccines, do better research or find hot lots that are causing more adverse reactions than other lots. Autism is not rare–and we know it is not due to a genetic cause. It is due to an environmental cause. Before the VIA in 1986, autism rates were 1 in 10,000–today they are as low as 1 in 33 boys! The rate of increase has paralleled the rate of increase in the amount of vaccines given. Testing for this rare condition will not eliminate autism cases. So, connect the dots. Vaccines are playing a role. Since 1986, we have seen ALL chronic disease rates skyrocket in children along with the vaccine schedule that has tripled. Diabetes type 1 & 2, allergies, asthma, ASD, autoimmune diseases, skin diseases, sleep disorders, neurological, speech, & behavioral disorders, etc…We are crippling all children’s immune systems and causing chronic inflammation with these massive amounts of vaccines. –that there has NEVER been a single vaccine study that has used a proper placebo group? In order for something to be science, you must have a proper control group. Vaccine studies give control groups “placebo” injections that contain aluminum. Or they look at a large group of vaccinated kids and compare it to a large group of vaccinated kids who received only 1 less shot. They’re all highly vaccinated–of course outcomes will look the same! –The entire vaccine schedule has never been studied for a link to autism. There are plenty of unvaccinated children who would jump at the opportunity to participate in a study comparing health outcomes of fully vaccinated vs unvaccinated. You will never see the CDC perform such a study, because the latter group would be FAR healthier. So why are they still being given the MMR between 6-12 months?! Because parents of brain damaged children can only do so much to come after those responsible. They’re too busy taking care of their beloved children who now need around the clock care. The CDC, government and Medical system are not being held accountable. Recently a senior CDC scientist William Thompson came forward admitting that he and other fellow scientists had called a meeting and deliberately destroyed statistically significant data from the most-quoted MMR study finding no link to autism. The data they threw away revealed that African American children were far more likely to receive an autism diagnosis following the MMR. Dr Thompson fearing prosecution kept copies of the documents in his personal files. Congressman Bill Posey brought the documents and issue to the House calling out for the CDC to be investigated and the issue further studied. Of course, you won’t see this in mainstream media. He has described at length the mechanism by which vaccines cause autism. Why haven’t you heard of him in mainstream media? 2. Anyone who attempts to debate Dr Blaylock will look like a fool, because they could not support their arguments with science like he does. There were on average 450 deaths in 180 million people from measles from 1959-1962 (most weren’t children or babies because immunity was passed from breastfeeding mothers who had measles and kids fared better than adults with measles) before the measles vaccine was ever introduced in 1963. Some years saw as low as 300 deaths. If doctors were talking about these deaths in terms of a genetic disease, they would say that even 500 cases in 180 million people is exceedingly rare! Preventing 400 deaths per year is not worth inducing brain damage in 1 in 33 boys. Before we vaccinated for measles, the death rate dropped from 5,300 deaths/year between 1912-1916 to an average of 450 deaths/year in the early 1960’s–all due to better sanitation, hygiene, nutrition, and perhaps true herd immunity. To put that number in perspective, in 2013 we saw 3,630 deaths from asthma. Before there was ever a measles vaccine, there were an estimated 48,000 hospitalizations due to measles. Today, we see 1.8 million hospitalizations due to asthma. What is the bigger killer? Why don’t we see more concern in mainstream media over asthma? There is no asthma vaccine from which to profit! Despite the fact that the US spends more on healthcare than any other developed country, has the highest vaccination rates, and administers the most vaccines, our country has one of the highest infant mortality death rates of any of the developed countries and the rank continues to drop from 12th in 1960 to 55th today!!! See for yourself on the CIA’s website: https://www.cia.gov/library/publications/the-world-factbook/rankorder/2091rank.html. Countries that give the least vaccines, have the lowest IMRs (http://www.ncbi.nlm.nih.gov/pmc/articles/PMC3170075/). You tell me now, Tara, is the issue not the vaccines? White Orchid–I think it is important to note that you stated you BELIEVE the only evidence based position on immunizations is to be pro-vaccine. There is in fact a lot of great scientific research available if you decide to think critically and actually take the time to find the truth out for yourself. I am actually not anti-vaccine. I am pro-choice. I am pro-transparency. I am anti-pseudoscience. I am on the side of optimal health of the people, not lining the pockets of BigPharma. Fraud, corruption, and deceit run rampant between the CDC and big Pharma. Look into the CDC’s senior scientist Dr William Thompson on the MMR study who admitted to along with other scientists throwing away statistically significant data showing African Americans were more likely to receive an Autism diagnosis if they received the MMR. For every rat you see, there are 50 you don’t. This is very revealing about the culture at the CDC. Like you, I once believed in vaccines and trusted doctors to give me the best advice. I believed the CDC had my children’s best interest at heart. I’ve come to find many of the doctors I’ve encountered have not done extensive research. Many read like a monologue off the CDC’s website and have no clue about any other research. 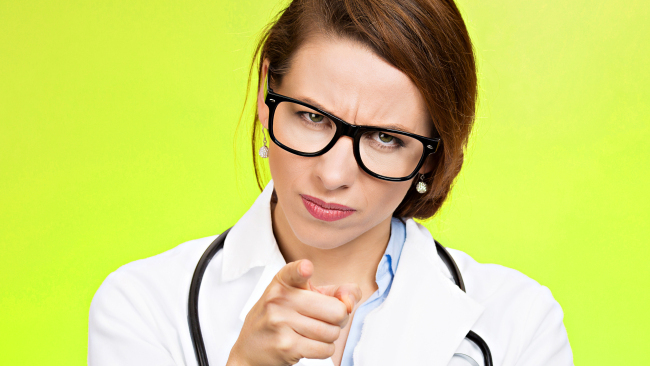 Most doctors are well-intentioned, but have been indoctrinated to believe in vaccinations by a medical school that was created by drug companies to promote drug companies and their profits. They were thrown so much information to learn and study, there was no time to double check sources, fact check, or think critically. There was only time to memorize, memorize, memorize. Ever notice how pro-vaccine doctors will only say the science is clear or attack anyone who creates vaccine discourse, but they never talk specifics? Find the doctors who site their sources and lead you to resources that you can read yourself. There you will find truth. The best most brilliant doctors I’ve found on the side of vaccine truth were once conventional medical doctors who also believed in vaccines…until something happened in their practice that made them think critically and with integrity in their hearts seek out the truth about why our children’s health is worse now than ever before. Read the book Dissolving Illusions: Disease, Vaccines, and the Forgotten History by Suzanne Humphries, MD. Dr Humphries was a top nephrologist in a hospital for almost two decades. Her book is extremely well referenced. She “paints a historic portrait with quotes from the pages of long overlooked medical journals, books, newspapers, and other sources to reveal a startling history that has been disregarded.” You will be shocked to find that things you once believed to be true were not true at all about disease history. Did you know that in places where smallpox was mandated, thereafter occurred the largest, most deadly epidemics? The one town that stopped vaccinating (research Leicester, England and the Leicester Method) and started using isolation of infected persons was the only town to see smallpox deaths virtually disappear. It is the Forgotten History and very few research the actual history of these diseases. If you wanted to vaccinate against Polio, you would not inject a vaccine for enterovirus 68, right? Despite both being enteroviruses and both capable of causing paralysis, vaccinating for one does not confer immunity for the other. So the same is true of cowpox and smallpox. Vaccinating for cowpox did not prevent smallpox or even deaths from smallpox. Not even when Jenner himself administered the vaccine. The smallpox vaccine is referred to as “vaccinia,” because no one really knew what all was in it. It was an arm to arm to arm mixture of pus from various animals, not just cows, in addition to countless humans. It’s no wonder the government destroyed the rest of the smallpox vaccines. When you look at all of the statistics available you see that smallpox vaccine was associated with inducing the highest ever death rates, not preventing deaths. The actual history does not matter if you BELIEVE something else to be true–that smallpox vaccine erradicated smallpox. It’s time for everyone to examine previously held beliefs and do some research to determine validity. This is a phenomenally well written article! I am an integrative veterinarian and I try to minimize “what I do TO my patients in the name of doing FOR them” (and I endeavor more and more each day to do less and less of those things that I consider at best unnecessary, and at worst, (potentially) harmful). “First, do no harm.” should always be the overarching goal of anyone involved in health care. I pride myself on helping educate my clients (and anyone else who will listen) about the disconnect between what is perceived as “science” and what science actually is. There is a huge chasm between what is truly evidence-based medicine and what is purported to be evidence-based medicine. In the widely accepted paradigm of Western / conventional medicine, there are so many tests, procedures, and treatments that are conducted under the guise of being evidence-based that are the farthest thing from it. Specialists and others far more knowledgeable in the fields of both veterinary and human medicne, will, if they are honest, admit and acknowledge this…just not (for the most part) publically. Unfortunately, there is too much to lose. I encourage you and anyone who is interested to view a video on YouTube entitled “Breaking Bad Medicine”, by Dr. Kelly Brogan. It is just under 15 minutes long, and is a great introduction to holistic thinking in medicine. Excellent article! Dr. Robert Mendelsohn also called it the “Religion” of modern medicine in his book, “Confession of a Medical Heretic”. What we encounter when we dare to question the industry funded ‘science’ behind vaccines are cognitive dissonance and brainwashing of doctors et al by the medical universities who are partially funded by pharmaceutical companies. As a wise person once said, “Science progresses one funeral at a time”. I think this article doesn’t really offer anything novel or unique. Trying to criticise modern medicine as if it’s some conspiratorial organisation set on quashing free-thought is unfounded and frankly, ridiculous. Rather than criticising, why not develop an experimental procedure to prove, beyond all reasonable doubt, that vaccines cause more harm than good. Further than that, why not perform a meta-analysis of clinical trials using vaccines to assess claims that they cause autism rather than speculating and using anecdotal evidence (which is wholesomely unscientific in itself). If you have an idea or theory that you want to test, then employ a proper scientific method to try to falsify this theory. If it can’t be falsified by any means, then, and only then can you say that your theory is true otherwise, all you have is speculation. Attacking medical practice won’t help you; if you’re are restless and unhappy, try to reform what you see.